This was contained in a presentation made by the Principal of the Pentecost Bible College in the United Kingdom, Apostle Dr. Lord Elorm Donkor, during the 2018 November Heads’ Meeting of The Church of Pentecost being held at the Pentecost Convention Centre, Gomoa Fetteh, on Wednesday, November 14, 2018. Speaking on the topic, “The Nature of the Church” with his anchor scripture taken from Isaiah 60:16-22, he explained that the nature of the Church is its innate make up. He observed that most people lack the biblical understanding of the nature of the church, partly because the word ‘church’ is used variously. For instance, he stated, people go to church, people belong to a church, scholars study the church, the church is spoken about in the media, governments relate to the church in different ways, and also certain architectural structures or buildings are called the church, while particular groups of believers (denominations) are referred to as a church. He indicated that the Bible gives images of the church that enables believers to make sense of the nature of the church and also know what the church should be and how it should carry out its purposes. The Bible, he said, describes the Church in many ways as; the people of God (2 Cor. 6:16), the body of Christ (1 Cor. 12:12-27), the building/temple of God (1 Cor. 3:16-17), the bride of Christ (Eph. 5:32), the army of God (2 Tim. 2:3-4), etc. 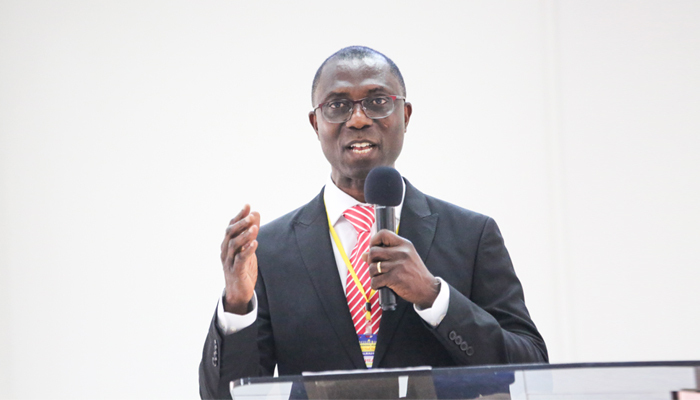 Apostle Dr Elorm Donkor noted that although magnificent buildings and state-of-the-art edifices called Church are important, their importance is limited to their use, saying, “In its essential nature the Church as an army of God should organise itself to release the fighting power that God has given it. “Our church should be able to use the doctrines to help our members think carefully about how the battle against carnality, the world and Satan is to be won. Every member should have the mentality of a soldier in God’s army who serves sacrificially knowing that his supply will unfailingly come from God. “We should use the principles and values of the Kingdom of God and coupled with divine weaponry to conduct all our operations,” he stressed.